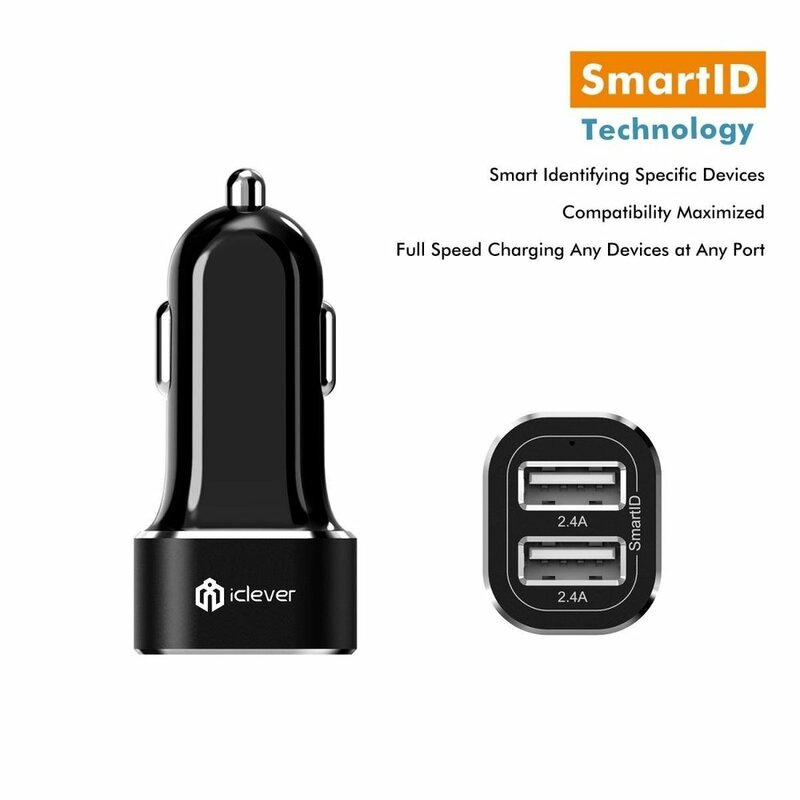 See also my reviews of the iClever 3-port USB car charger and iClever 4-port USB car charger. After more usage of this charger and the others noted above, I have to downgrade my rating. On long trips I discovered that these chargers are unable to charge my LG G2 Android phone when I have Google Maps running with GPS plus Bluetooth and data. The charging current cannot keep up with the power being used. If I go into airplane mode it starts charging slowly. After doing some research I decided to purchase the SCOSCHE USBC242M at https://www.amazon.com/gp/product/B00E1UWA4O/ref=oh_aui_detailpage_o02_s00?ie=UTF8&psc=1. This model works beautifully, keeping my phone fully charged while in use as described. The SCOSCHE also barely protrudes from the car's DC power outlet. I liked it so well I purchased another for my other vehicle. Two ports are sufficient for our needs. I have been using the 3 and 4 port versions now for several months and I am extremely happy with them. This 2-port charger has...well...two ports instead of three or four. Both ports are rated at 2.4A compared to the 3-port charger which has 1 port rated at 2.4A and two at 2.1A (all ports on the 4-port charger are also 2.4A). The two port charger is smaller. 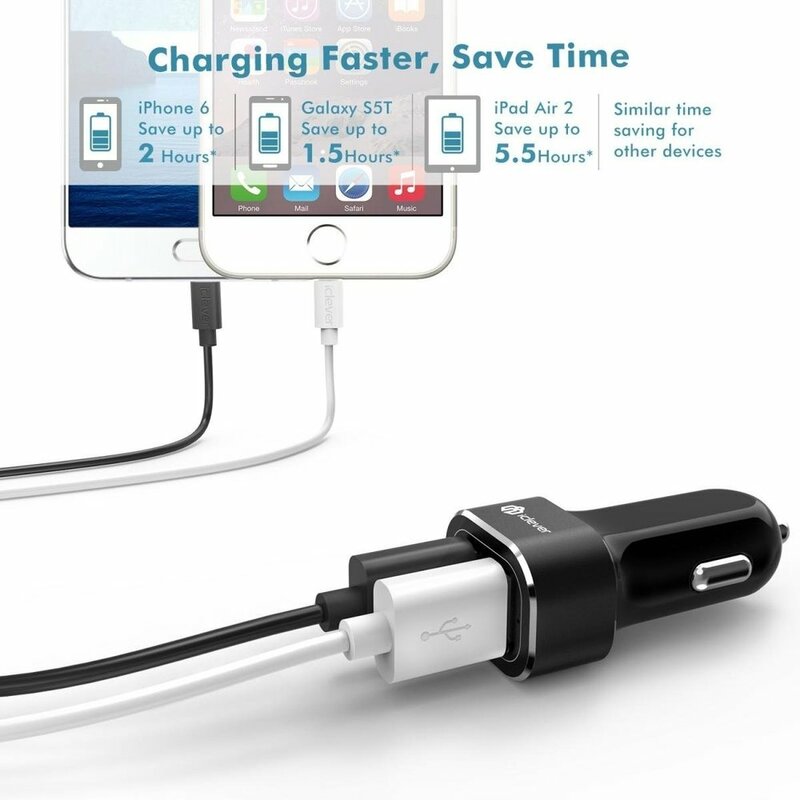 The small profile compared to "normal" car chargers is very nice. It is quite handy being able to charge more than one device at the same time. It is also very useful to be able to choose your own desired USB cable length, even to reach to the back seat. 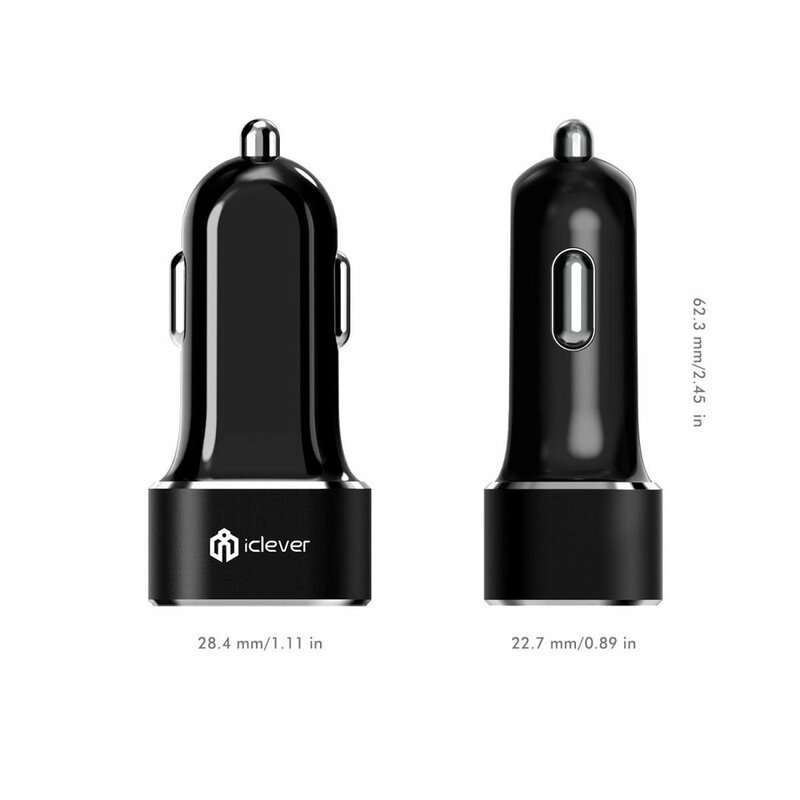 The iClever chargers detect the charging current needed for your device and will not exceed it.